Great ride. Best airtime, has so much too. Loved It. Not the colors.PURPLE???????? Wow! I loved this ride! Lots of great airtime, fast speed, many hills- its what I was looking for in a B&M hyper-coaster! Great view, great scenery, this was just an awesome ride!! Very smooth ride with lots of great airtime! I particularly enjoyed riding in the back, but - of course - the front is awesome, too! My first B&M Hyper. Enjoyed the freedom of the restraint system. It allowed me to really enjoy the the air time AC has to offer. I am still trying to decide why I didnt rank this ahead of MF. Well, I guess it is the pure SPEED MF has to offer. BUT, AC does have tons more air, and I love how on the third hill just as you start to drop-the track gives a slight turn to the left which makes for a really cool element. 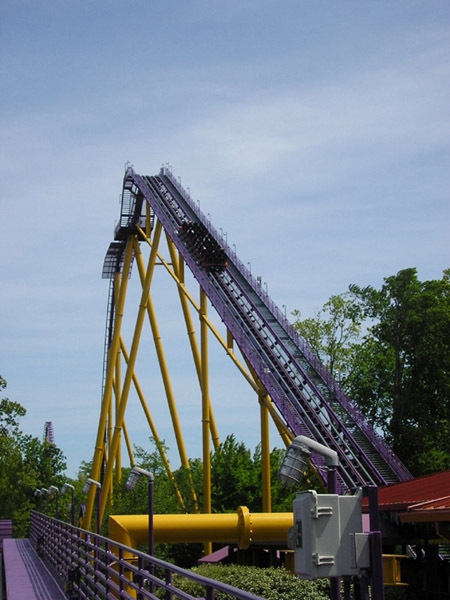 One smooth, airtime filled, fast, tall, action packed coaster. This is one cool ride with its beautifuly open B&M speed coaster trains. Probably the greatest feature of this ride is that the rider is almost certain that this ride will somewhere run out of steam before making it back to the station. This ride is littered with giant drops, all sustaining substantial floater airtime, and it is a wonder that the train makes it back up and out of the initial ravine. The biggest surprise for first time riders would have to be the fnal 40 foot drop into a man made ditch providing very nice unexpected airtime before coasting into the brakes. Good for just about any coaster rider thanks to its very smooth ride and high fun factor. 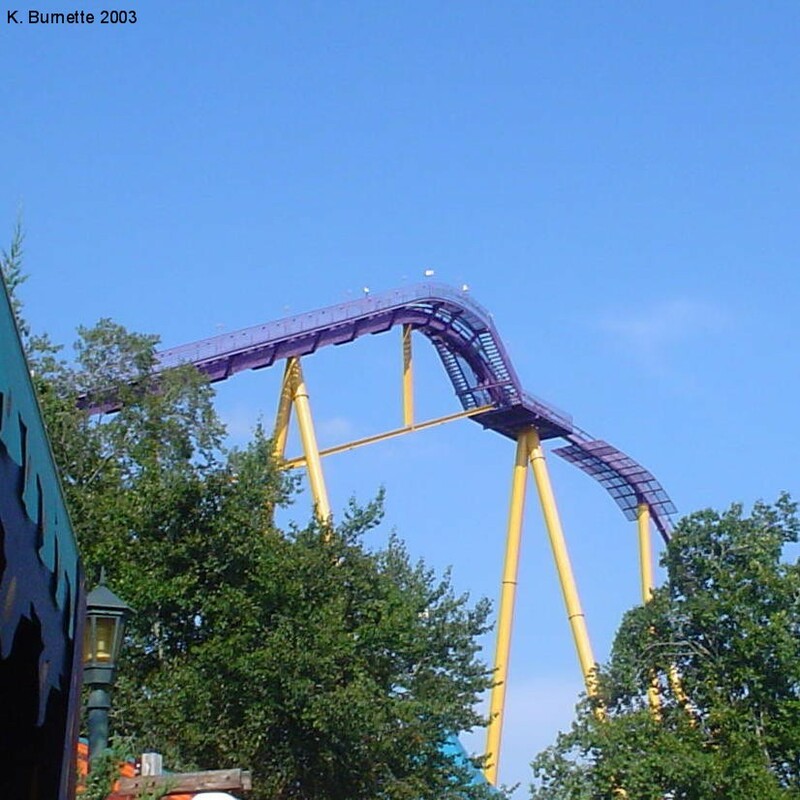 SPEED, AIRTIME, HEIGHT.......what else is there to say about this coaster? I love how the restraints and trains make it feel more open than other rides. certianly a 10! Still worthy of a 9 though being that it has great directional changes, a great drop, intensity, and the last drop before the brake run into the ravine is so unexpected. An amazing roller coaster. It was my favorite one when I rode it. I got loads and loads of airtime. The first drop is my favorite one. Its also very smooth! Deserves a 10 and gets a 10!